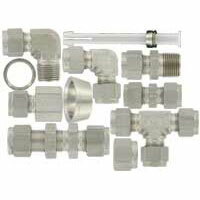 Accessories for instrumentation products. 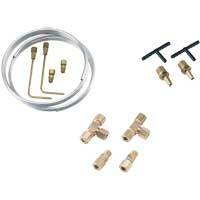 Including filters, cooling extensions, gage fluids, gage guards, fittings, mounting, connectors, and tubing. Three Way valves are for pneumatic tubing systems. Dwyer's instruments are able to hook 3 instruments together, tests various gages and transmitters. 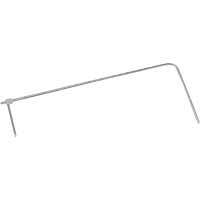 Constructed of solid gray PVC, has Buna-N seals, and a rotating flag handle. The handle has 180° rotation and lies directly over the open port. 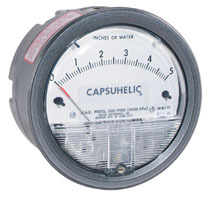 Pressure snubbers protect pressure instruments from pressure surges. Gauge guards provide a protective barrier between the process fluid and the instrument. 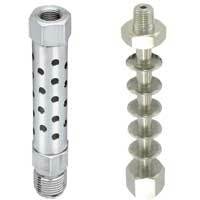 The adjustable pressure snubbers are fine thread adjustable valves that allow you to fine tune harmful harmonic vibration from the fluid systems. 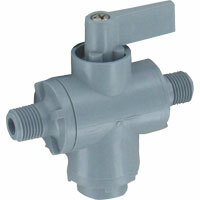 Pneumatic valves are directly for pneumatic tubing systems. 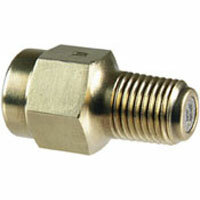 Pneumatic fittings are for pneumatic tubing systems. 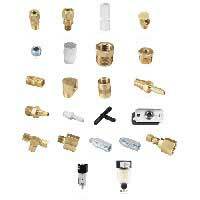 Pneumatic fittings are made of stainless steel. 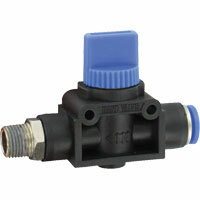 Dwyer's fittings are designed and manufactured to provide reliable leak-free connections in a variety of applications. The tubing material chosen must be compatible with the system's contained media, pressure and temperature, as well as with the environment in which it will be installed. 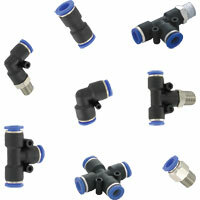 Pneumatic fittings are made of nylon. Nylon fittings are generally acceptable for use at working pressures up to 150 psi at normal room temperatures, and at very low pressures, temperatures can approach 175°F. Static Pressure sensors are for use with pressure gages, switches, transmitters and other controllers to pick up or sense static pressure drop across air filters and cooling coils, blower input and discharge pressures, etc. 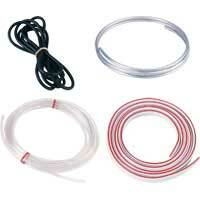 Fittings, filters, and mufflers to pneumatic tubing systems. 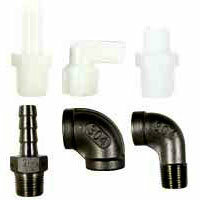 Special line filters for gage and particulate filters. 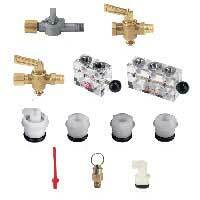 The Muffler Accessory can be easily field installed to any diaphragm valve with an exhaust. 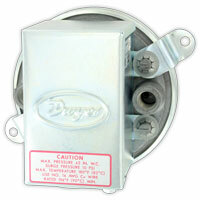 Particulate filters are used for Dwyer Flowmeters to keep the air clean. Mounting flanges and brackets for pressure gages. 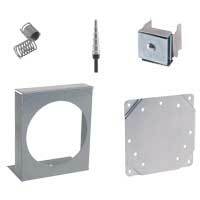 Various mounting options for Dwyer products. 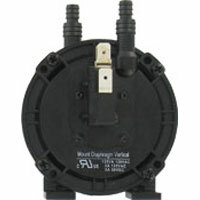 Enclosures protects instruments in all applications. 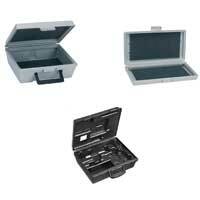 Portable case accessories for test equipment. Steel cases are substantially constructed and finished in gray hammerloid. Molded plastic cases are gray, high density polyethylene. Sling psychrometers and calculator slide charts. 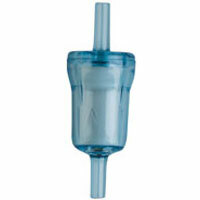 Psychrometers are used for handheld, non-electric humidity metering. Air Velocity Calculator Slide Charts make spot checking with Dwyer Pitot Tubes quick and easy. 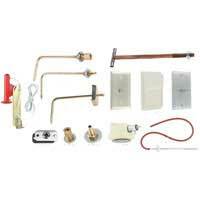 Accessory kits are for pressure instruments to measure filter pressure drop. 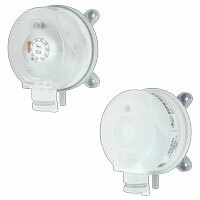 They are used with differential pressure gages or switches to measure the resistance of air flow through filters. Replacement fluids for fluid filled manometers. 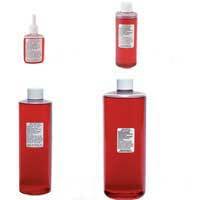 The different fluids are red gage fluid, blue gage fluid, and fluorescein green color concentrate. 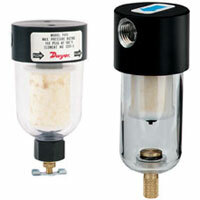 Dwyer's fluids are furnished in unbreakable plastic dispenser type bottles. 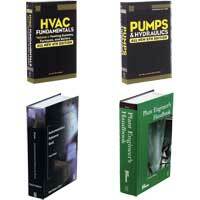 Technical references for HVAC, pumps, boilers, electrical codes, instrumentation, chemical resistance, indoor air quality, facilities, plant management, and more. 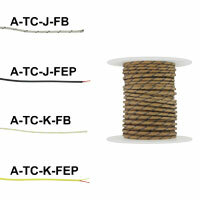 General purpose thermocouple wire is offered in the two most common types of thermocouples used, type J and type K. Both FEP insulation and Fiberglass insulation options are available in multiple pre-spooled lengths meeting any application needs.